You will earn 2165.00 bonus points. ? Whether spending a cozy evening at home or entertaining your friends, this two-tone sofa lounger will provide plenty of comfortable seating options without taking up too much space. 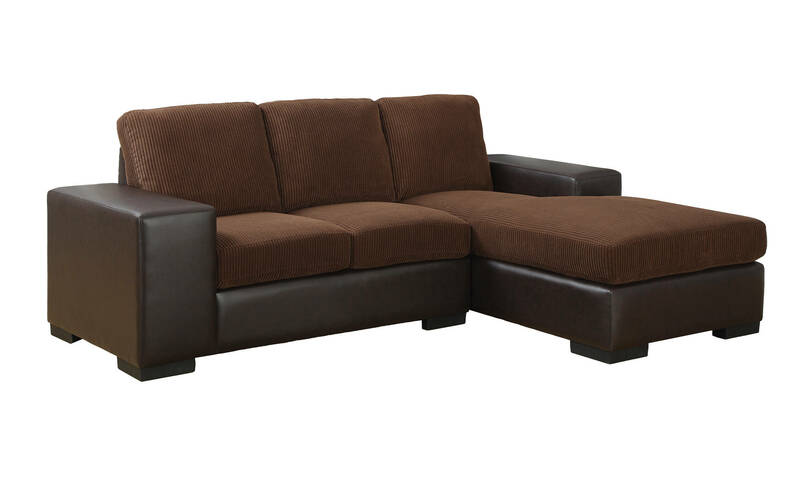 Upholstered in a soft, rich, brown corduroy and contrasting dark brown leather look material this sectional is perfect for today's modern condos or smaller living spaces. Stretch out in style with this fashionable sofa lounger.